WEST LAFAYETTE, Ind. - A Purdue University researcher and entrepreneur is commercializing her laboratory's innovative collagen formulations that self-assemble or polymerize to form fibrils that resemble those found in the body's tissues. These collagen building blocks can be used to create customized three-dimensional tissue and organs outside the body to support basic biological research, drug discovery and chemical toxicity testing. In addition, they can be used to create next generation tissue engineered medical products that foster improved tissue integration and regeneration. 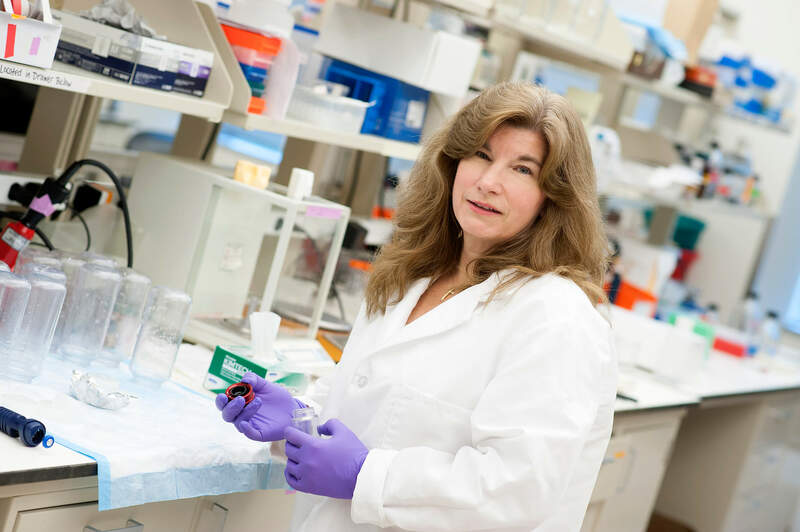 Sherry Harbin, an associate professor in Purdue's Weldon School of Biomedical Engineering and Department of Basic Medical Sciences, and founder of GeniPhys, has worked for more than 10 years to tap into the secrets of the extracellular matrix component of tissues. The extracellular matrix is a 3D meshwork of molecules or microenvironment, including collagen, within which cells live and function in the body. During this time, Harbin and her research team focused on how the body synthesizes and assembles collagen as well as biophysical signaling mechanisms between collagen and cells. "The collagen fibril matrix component of the ECM was once thought to be a passive scaffold that simply served to provide structural and mechanical support to tissues and organs," Harbin said. "However, it is now evident that collagen fibril microstructure, mechanical properties including stiffness, and proteolytic degradability provide critical cues and instructions that control cell fate and tissue formation." Her formulations represent the only collagens that are standardized or quality controlled-based on their polymerization capacity, more specifically their ability to transition from a fluid to fibril matrix state. In addition, Harbin and her research team identified a novel collagen formulation, termed "oligomer," that contains intermolecular crosslinks and exhibits uncommon self-assembly properties. Matrices and materials prepared with oligomer have dramatically improved mechanical properties and reduced proteolytic degradation, overcoming major shortcomings of conventional collagens. "Conventionally, cells cultured on the surface of plastic dishes have been used to identify new drug targets, test chemical toxicity, and study cell processes associated with normal and disease states such as cancer," Harbin said. "Unfortunately, growth of cells in these over-simplified environments has been shown not to correlate well with human cell responses in the body. 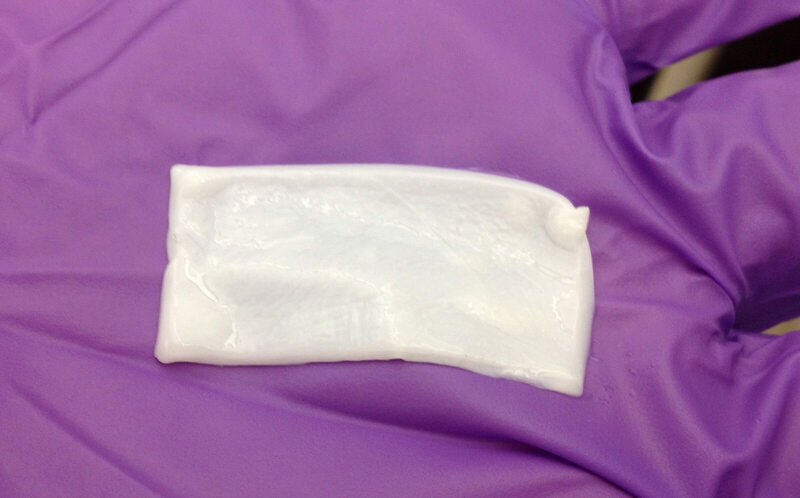 GeniPhys collagen polymers allow scientists to grow cells within a highly reproducible, physiologically relevant 3-D collagen fibril matrix that they can customize. In this way, scientists can determine how specific attributes of the collagen ECM affect cell behavior, including tumor metastasis and drug/toxin sensitivity." This is important as pharmaceutical companies and regulatory agencies look for new, less expensive ways to better predict human outcomes as part of drug development and chemical toxicity testing. This technology also is supporting the development of the first bioinstructive collagen-based therapeutics for medical applications, including regenerative medicine strategies involving therapeutic cells, multifunctional drug delivery, surgical implants, and tissue engineered medical products. Conventional biological products including collagen sponges require extensive chemical and physical processing to improve their mechanical strength and reduce their proteolytic degradation. A challenge is that this processing method causes adverse cell reactions by altering the biological properties of the collagen. Furthermore, conventional medical collagen products do not self-assemble so their biophysical properties, including fibril microstructure, mechanical properties (stiffness), and proteolytic degradation, can't be customized to provide specific instructions to cells. Harbin's startup GeniPhys is currently manufacturing research-grade collagen polymer and standardized polymerization kits that support creation and customization of 3-D cell culture systems. GeniPhys plans to produce medical-grade collymer products for veterinary and medical applications, including wound and hemostatic dressings, cell-instructive implants, engineered tissue and organ replacements, hybrid medical devices and therapeutic cell and molecule delivery. Harbin worked with professionals from the FDA, industry, and academia to draft an ASTM standard guidance document on this latest polymerizable collagen technology. Such ASTM standards help to simplify product development, compare competing products, and speed time-to-market. Such standards play an important role in the development and implementation of innovative technologies that influence and transform lives. Harbin's technology is licensed through the Purdue Research Foundation's Office of Technology Commercialization, and she receives business coaching assistance through the Purdue Foundry. For more information on other available technologies, visit otc-prf.org/available-technologies. The Purdue Foundry is an entrepreneurship and commercialization hub in Discovery Park's Burton D. Morgan Center for Entrepreneurship. The Purdue Foundry is managed by the Purdue Research Foundation, which received the 2014 Incubator Network of the Year from the National Business Incubation Association for its work in entrepreneurship. For more information about funding and investment opportunities in startups based on a Purdue innovation, contact the Purdue Foundry at foundry@prf.org. GeniPhys is a Purdue University-based startup that specializes in the commercialization of the first standardized, tunable collagen polymers (Collymers) and collagen-fibril materials for research and medical applications.